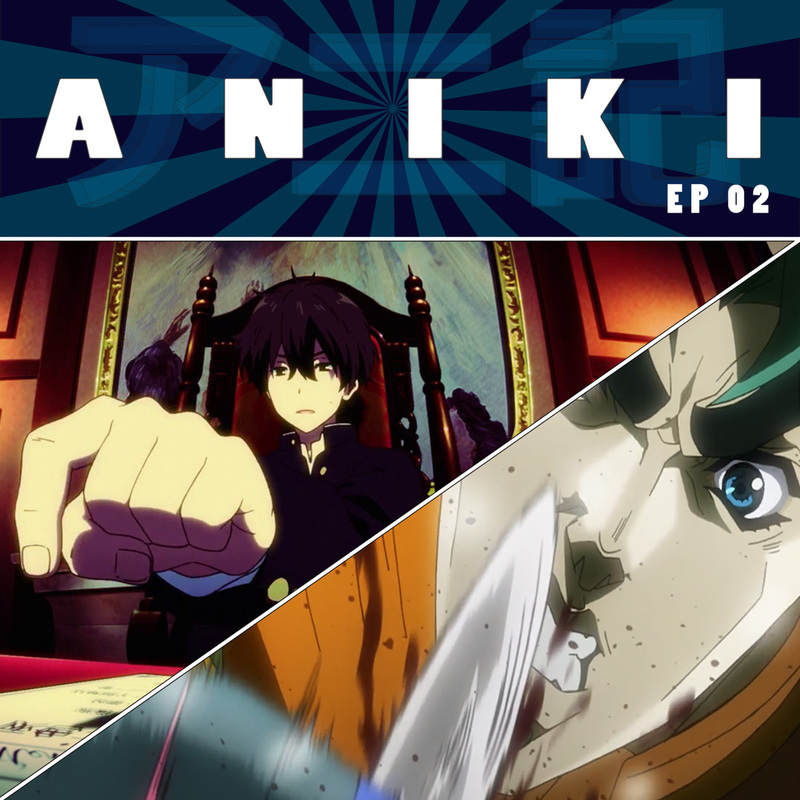 This week on Aniki: Things settle down on Hyouka as the gang discuss if and how Chitanda can get angry. Meanwhile on Jojo, Zeppeli explains Hamon energy with mixed results. 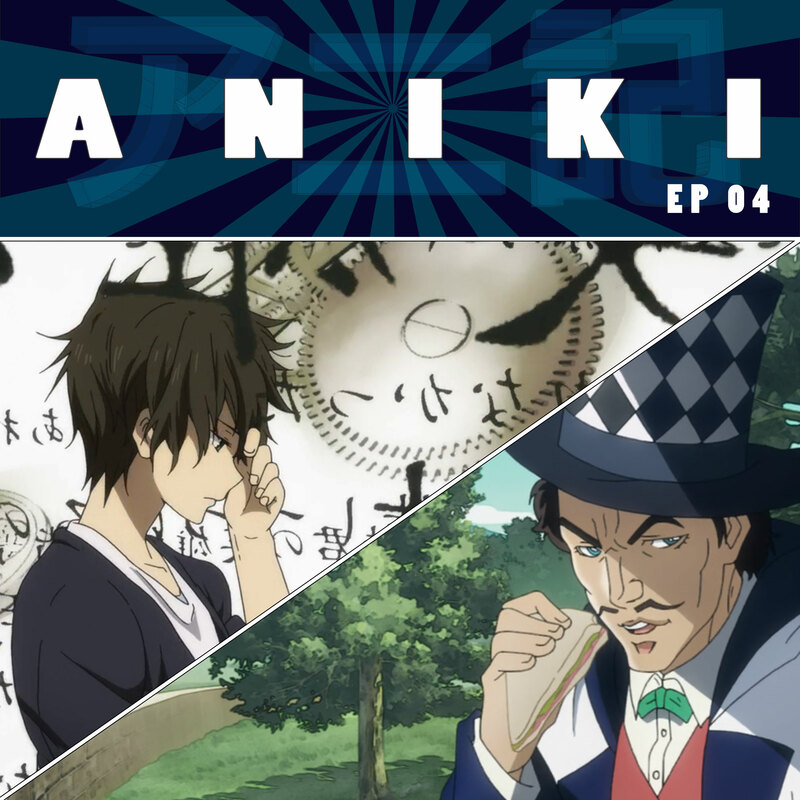 This week on Aniki: The truth of all things Sekitani Jun is revealed to Oreki and the rest of the Scooby Gang. 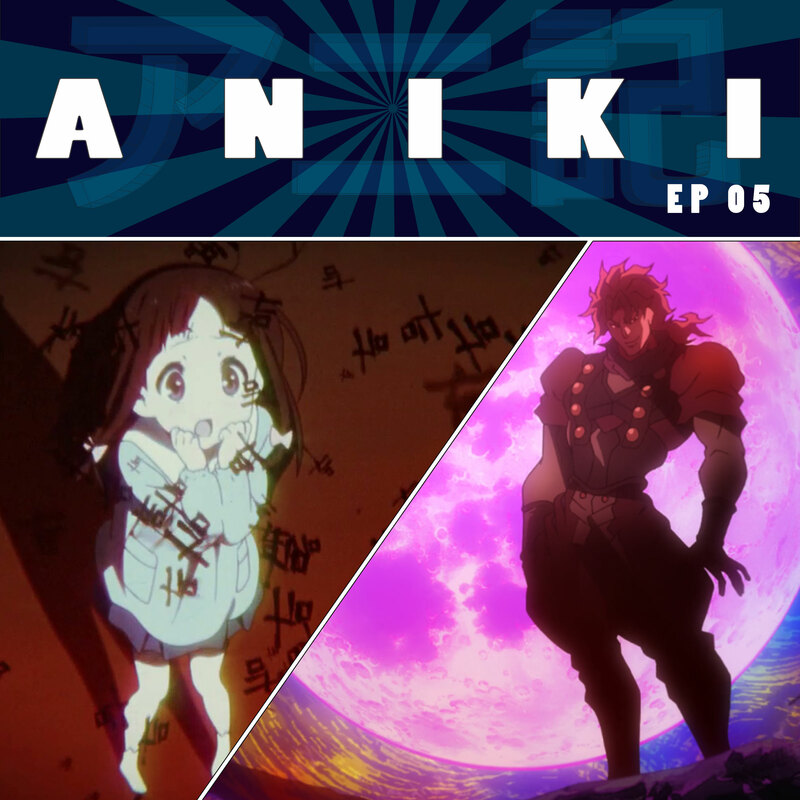 Meanwhile, Jojo meets some historical figures and Dio shows off some neat party tricks! 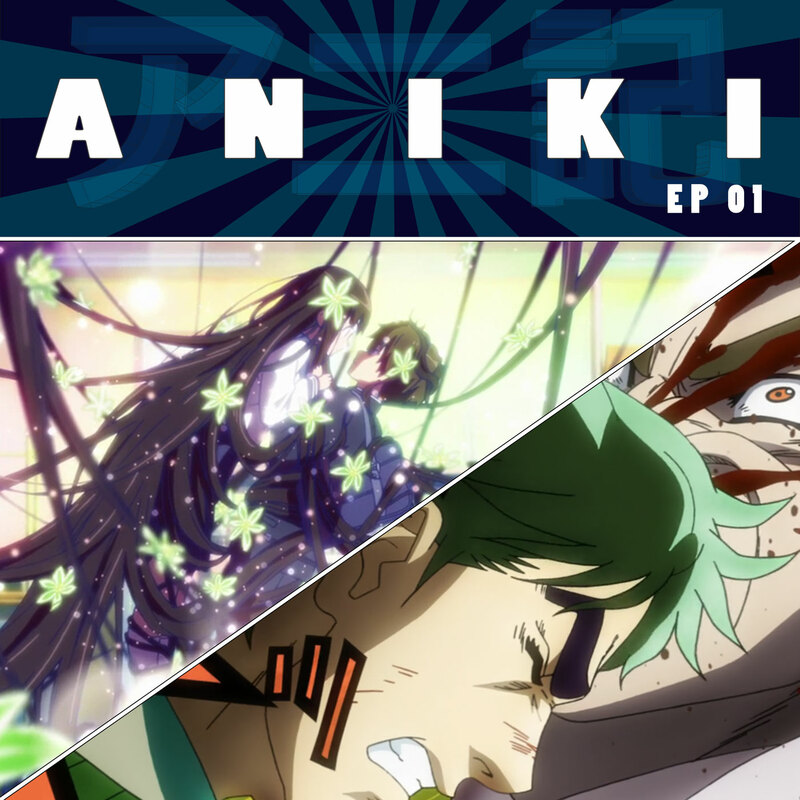 This week on Aniki: Our favorite sleuths have a thrilling conference meeting, with snacks! Theories abound, but what flavors of donuts does Chitanda make? Also, Jojo gets new powers, a new love, and an old hat. Zeppeli arrives and punches a frog and Jack the Ripper makes an entrance! 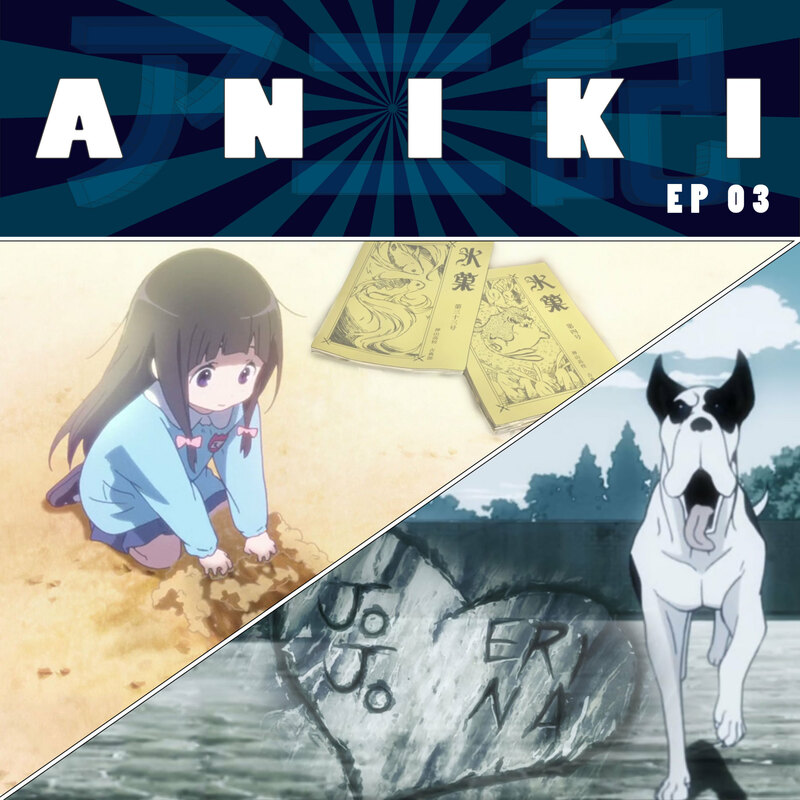 The Mystery of the Checked-Out-Book , cats eating dogs, and hats made of knives are just some of what we encounter this week on Aniki. 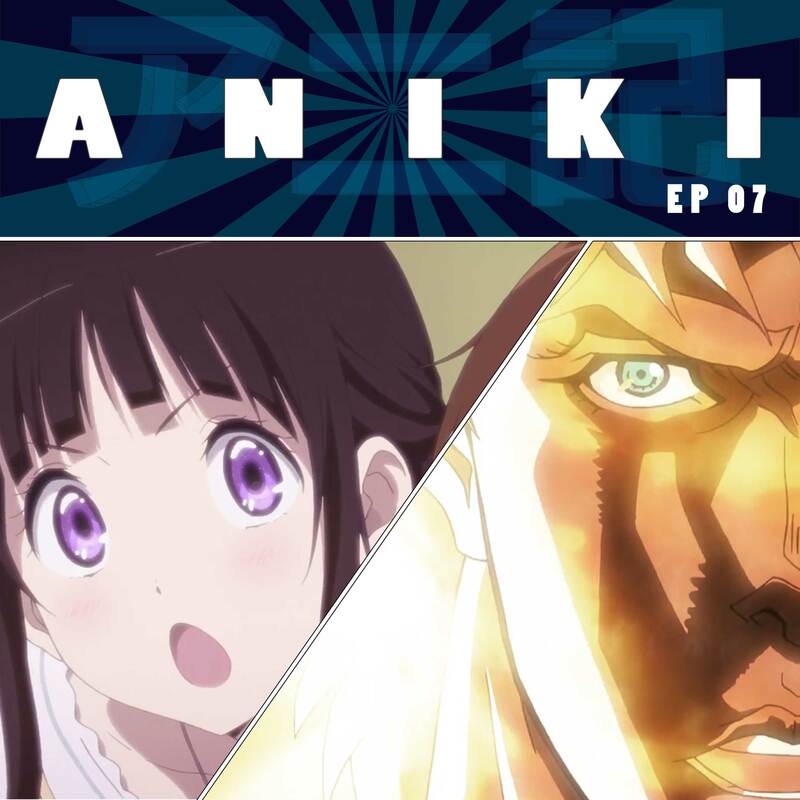 Season 1 of Aniki begins with Ben and Jon viewing the first episodes of Hyouka and Jojo’s Bizarre Adventure. Mysteries upon mysteries.